The good thing about Total Commander Ultima Prime is that it comes bundled with all sorts of useful plugins, so that you won’t need any other software. 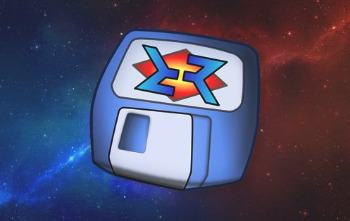 For example, you can add/remove programs, access autorun, CD/DVD burning, e-mail, virtual disks, a web browser, Notepad++, TeamViewer, Universal Extractor, uTorrent, Virtual Dub, and many others, but also be able to shut down or restart the computer. The software is great overall, but it doesn’t give you the possibility of selecting the exact plugins you want and don’t want to install, and most people are not interested in using everything an application (in this case, a file manager) has to offer. Nevertheless, Total Commander continues to use less CPU and memory than Windows Explorer, and that “feature” is always welcome. Updated “Ant Movie Catalog” do application to the newest version (4.2.2.2). Updated “Audacity” do application to the newest version (2.3.1). Updated “KeePass” do application to the newest version (1.37). Updated “Miranda NG” do application to the newest version (0.95.10.1). Updated “Notepad++” do application to the newest version (7.6.4). Updated “Opera” do application to the newest version (58.0.3135.127). Updated “TeamViewer” do application to the newest version (14.2.2558 P). Updated “Total Commander” do application to the newest version (9.22a). Updated “Universal Extractor” do application to the newest version (2.0.0 RC 1). Updated “XnView” do application to the newest version (2.48). Updated “ADWCleaner” do application to the newest version (7.2.7.0). Removed ” System Info for Windows ” application.